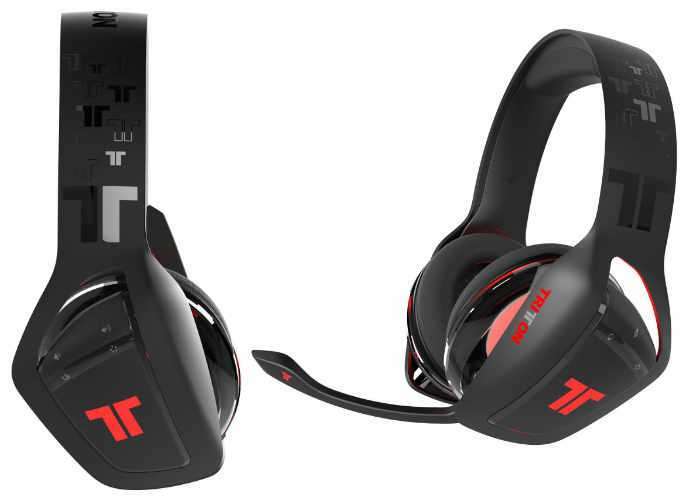 Mad Catz has this week made available then you Tritton ARK 100 7.1 RGB PC headset which has been previously available as a console version. The PC headset is now available for PC, Linux and Mac and is priced at $100 or £80 via Amazon and other retailers. The latest PC gaming headset from Mad Catz supports Windows 7, Windows 8 and the latest Windows 10 operating systems and offers 7.1 virtual surround sound. Get straight into the game with this plug and play headset, featuring the key benefits of the ARK series. EQ modes allow you to customize the audio and, coupled with the supreme comfort provided by our extensively tuned headband, your immersion is guaranteed. For the PC version, the Tritton Audio Centre software provides not only 7.1 virtual surround sound, but also full control of your EQ, microphone, voice masks and audio profiles; this is the headset for the competitive gamer looking for the ultimate in gaming audio. Andrew Young, Chief Technology Officer at Mad Catz. The ARK 100 for PC raises the bar for PC gaming headset audio quality, durability and comfort. Whether it be the unique comfort resulting from Audionomics, the superior audio performance of R:Drive, or the customizability provided by Kameleon lighting, the ARK 100 for PC is designed to deliver the comfort, audio quality and customization that PC gamers seek for optimum performance and gameplay enjoyment.